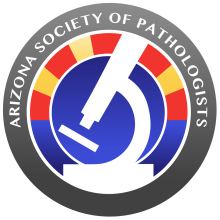 ​The AZ Society of Pathologists selected these topics based on a survey of the membership to determine educational needs and interests received from evaluations on past meetings. The goal of the planning committee is to include different topics on a rotating basis, so our members are exposed to the latest innovations in a timely manner. Rajal B. Shah, MD from the Cleveland Clinic will provide two talks covering updates on prostate cancer and prostate cancer diagnosis in core needle biopsy, along with an update on what is new in the WHO classification and 8th Edition of AJCC Staging Manual for bladder cancer. In addition, Ernest Jimenez, laboratory operations manager at Pharos Diagnostics in Tucson, will provide two talks on pain management and urine drug testing for opioids and other related drugs. Richard Eisen, MD will provide an update on PD-L1 and then join Xia Li, PhD for a presentation on tumor profiling by NGS analysis.